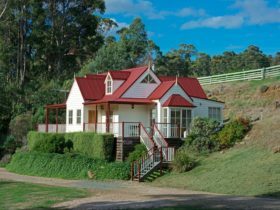 Crabtree House offers self-contained heritage accommodation in Grove, in Tasmania’s South. 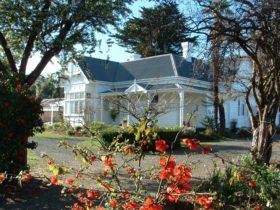 Heritage listed Crabtree House sits at the entrance of the lush and fertile Huon Valley. 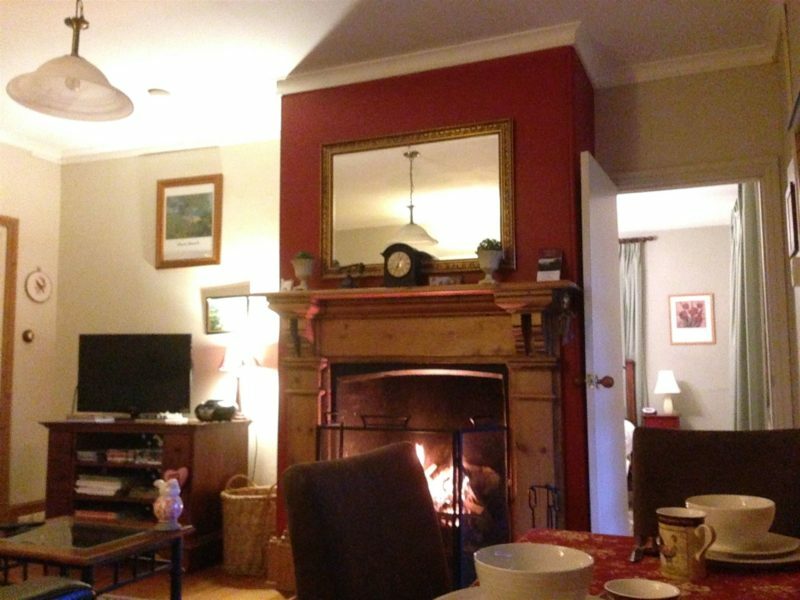 Crabtree House is ideally positioned for the business or leisure traveller. Perfect for a relaxing weekend getaway, romantic wedding, honeymoon or a touring holiday. 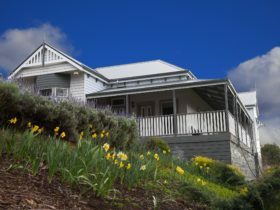 A warm and friendly Huon Valley welcome awaits you. The Loft is a very large yet intimate apartment which caters to up to four adults in a queen plus king or two singles bedding configuration. The large deck overlooking Sleeping Beauty and Crabtree River and farm land beyond has a six place outdoor dining setting and a barbecue. The Heritage Apartment is designed for couples only and is not suitable for children. It has a large lounge, open fire, kitchenette and private deck overlooking the river. 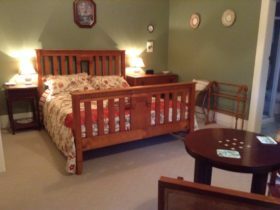 The Twin Rivers Suite (Loft and Heritage combined) accommodates six adults or a family of six. 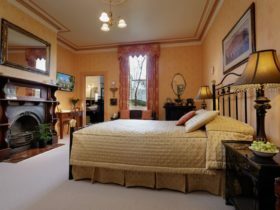 Includes two queen and one king or two single bedrooms. There are two kitchenettes and two bathrooms, the upper with a bath. Both apartments are centrally heated. 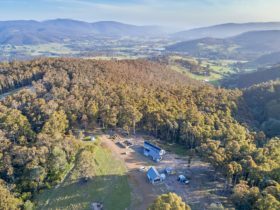 Grove is a 28-minute drive (31 km) south of Hobart.